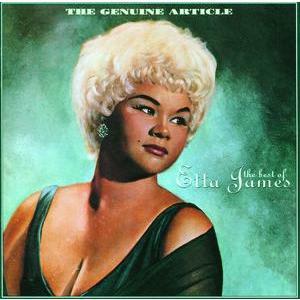 So if you haven’t heard already, the amazing and talented Etta James passed away this morning. Besides being wonderful and an R&B legend, Ms. James will forever be thought of as Lady of the First Dance (I have been watching a lot of Downton Abbey lately, so pardon my proper British m’lady-ing…and we will get to the Downton business in a wee bit!). I am sure that there isn’t anyone out there there doesn’t know someone that has danced to “At Last” at their wedding. And why not? So in honor of Etta, at last…. This entry was posted in Sad Vids and tagged At Last, Downton Abbey, Etta James, First Dance, Lady, M'lady, RIP, Weddings. Bookmark the permalink.